An overwhelming number of Afghan men living in the region that is a major front in the U.S.-led war on the Taliban don't know anything about the terrorist attacks that brought international soldiers to Afghanistan, according to a report from an international policy think tank released Friday. 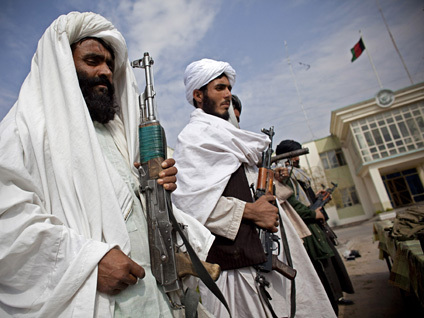 The International Council on Security and Development said in its report that 92 percent of 1,000 Afghan men surveyed in the intense fighting areas of Helmand and Kandahar provinces were unaware of the Sept. 11, 2001, terror attacks, the Reuters news agency reported. "The lack of awareness of why we are there contributes to the high levels of negativity toward the NATO military operations and made the job of the Taliban easier," Norine MacDonald, the think tank's president, told Reuters. "We need to explain to the Afghan people why we are here and both convince them and show them that their future is better with us than the Taliban." The report was released during a summit in Portugal of the leaders of NATO-member nations. On Saturday, the leaders are expected to focus on the war in Afghanistan. In July, the organization plans to reduce its troop levels in the country and hand over responsibility for the country's security by 2014. Trump says he knows "all about rigging the system because I had the system rigged on me"